Our research is aimed at understanding how muscle protein structure affects heart function and how certain proteins are able to protect the heart from injury. In particular, he is investigating the functional role of the heart protein cardiac myosin binding protein-C (cMyBP-C). cMyBP-C is a protein that organizes muscle structure. Defects in the cMyBP-C gene are associated with the disease familial hypertrophic cardiomyopathy. cMyBP-C phosphorylation represents a convergence point for complex signaling events that ultimately result in cardioprotection and improved contractile function. 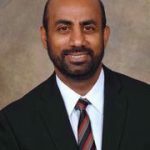 Dr. Sadayappan’s studies showed that cMyBP-C stability and phosphorylation have a direct effect on the heart’s contractile properties, sarcomere organization and cardio-protection in ischemia-reperfusion injury mouse models.